The recent terror attacks here in the UK have affected us all in more ways than one. It’s been devastating to say the least and our hearts go out to absolutely every single individual and family affected by these tragic events. At times like this, it’s overwhelming to see the country unite as one. We pull together to support one another and show just that little bit more kindness and understanding to each other as humans. We might smile at a stranger, offer your help to those that need it and might even volunteer your services in ways that can benefit others. That’s why, we here at CosyRoom HQ, want to show our support and utmost respect for the services that are in the thick of these difficult times. The front line workers. The ones helping, aiding, and caring for the victims and families while absolute devastation continues unravel around them…us. So with that, we have decided that what better way to show our support, than to give £2 of every Love & Peace Aroma Pot* sold, to the British Red Cross. 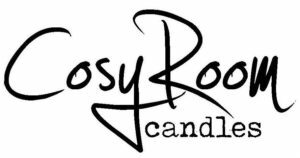 Simply buy the candle as you would any other CosyRoom product, and we will donate £2 of that sale to the brave charity that works relentlessly around the clock to care for and aid the injured victims of these sad times.